The defendant knew that he or she was directed to stop by the officer. The officer was in a patrol vehicle with proper markings displayed and had siren and lights activated. During the course of the fleeing, the defendant drove at a high rate of speed or in a way that would endanger other people or property. In Jacksonville, Florida, Aggravated Fleeing or Attempting to Elude a Law Enforcement Officer is a second degree felony. There are defenses to Aggravated Fleeing or Attempting to Elude a Law Enforcement Officer. For example, a person is driving a vehicle in Jacksonville, Florida when a Jacksonville police officer attempts to pull him over. The driver flees in the vehicle in a dangerous manner. This Florida driver runs away from the car, and the officer looses him. The Jacksonville police officer searches the area for the driver that fled. He finds the man and arrests him. This man is charged with Aggravated Fleeing or Attempting to Elude a Law Enforcement officer in Jacksonville, Florida. Unfortunately, the officer was mistaken and arrested the wrong man. 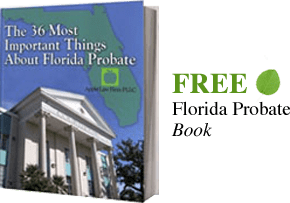 A Jacksonville Fleeing or Attempting to Elude Attorney understands that an innocent person can be arrested and will work hard to prove that. If you have been arrested in Jacksonville, Florida or the surrounding areas for Fleeing or Attempting to Elude a Law Enforcement Officer, contact a Jacksonville Florida Fleeing or Attempting to Elude Attorney. A Jacksonville Florida Fleeing or Attempting to Elude Lawyer will investigate your case and advise you further. Contact our Jacksonville Criminal Defense Lawyers by email or by calling 904-685-1200.